If you want to install a new set of nozzles, for example 50 or 100HP nozzles, on your 5.9L common rail injectors, you need a safe way to fixture the injector. 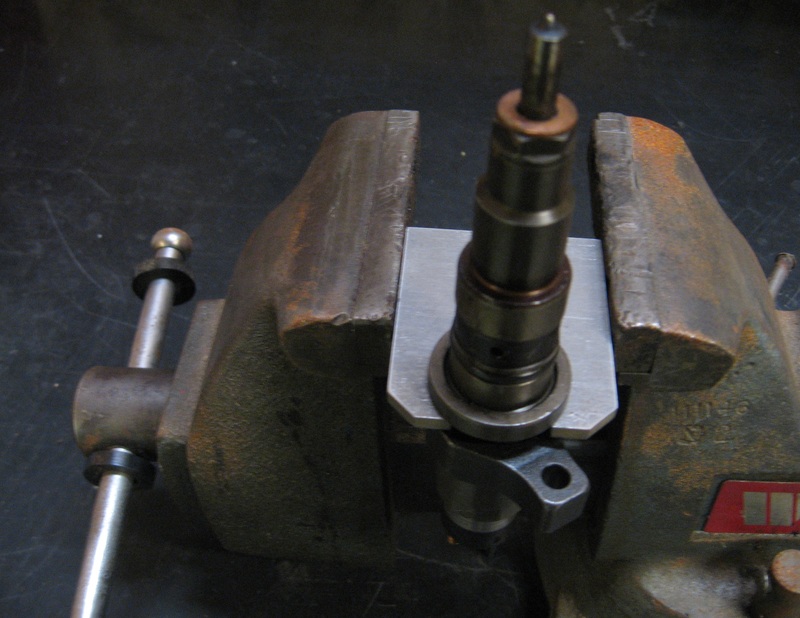 Clamping the injector in the vise is NOT an option - you WILL destroy it! Many people try to clamp on the injector hold down bracket - this also will not work - the pin that locates the holding fixture will shear off under the torque required to remove the nozzle nut. Fortunately, these injectors have a set of flat surfaces just below the hold down bracket for this very purpose - just slide the injector onto the bracket and in a few minutes you will have a new nozzle installed! This is a simple piece and can be home-made, but if your time is worth much a ready-made one may be the way to go.